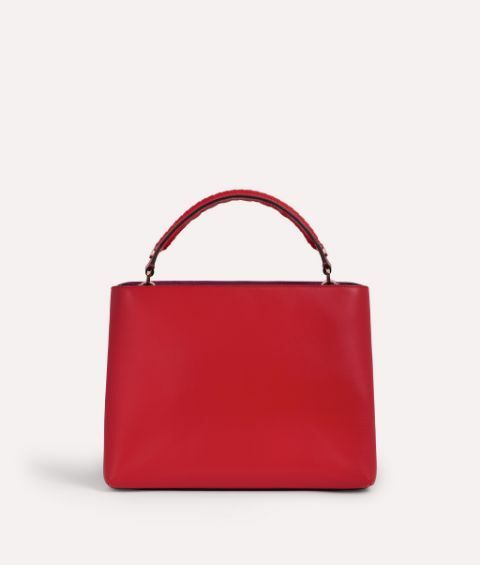 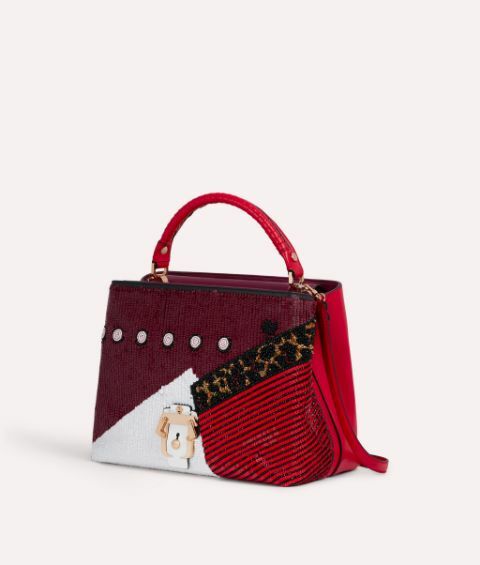 Embrace your glamorous side with the Mae Skyline. 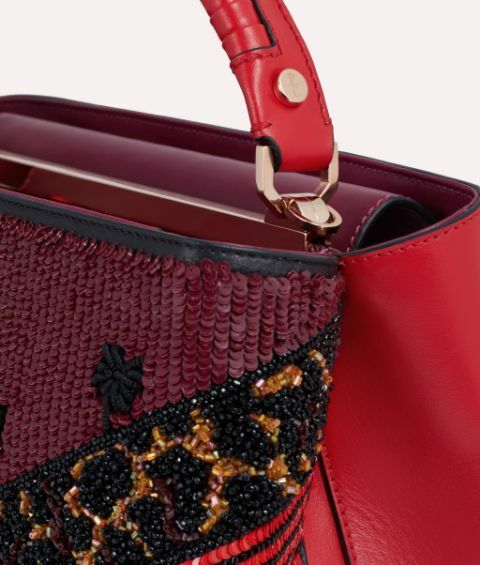 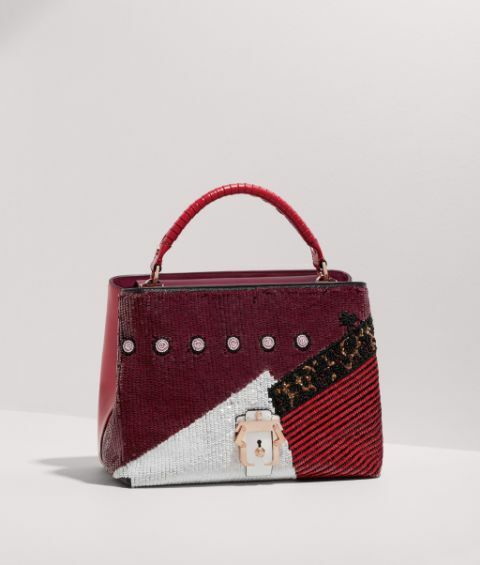 Crafted in Italy from soft calf leather, the front is adorned with opulent patchwork sequin embroidery. 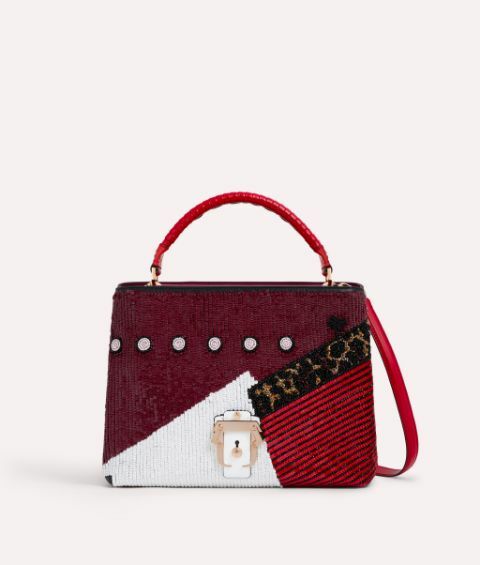 Leopard spots and stripes lend a playful touch, whilst the whipstitched top handle delivers an elegant silhouette.